When you have a drainage system installed in your home, your sump pump is your main line of defense against a crawl space flood. If you can't count on your sump system to be powerful or reliable enough, then you can't count on a dry crawl space. And what good is the space if it gets wet? At DriWall Waterproofing & Crawl Spaces, we install only the best sump pump systems available anywhere in the Georgia area. We have an answer to clogging sump pumps, power failures, torrential rainfall, and much more! 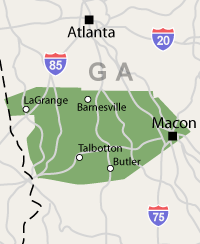 We service Macon, La Grange, Thomaston as well as Forsyth, Barnesville, Hogansville, Lizella, West Point, Manchester, Midland and nearby. We can help you dry your crawl space! 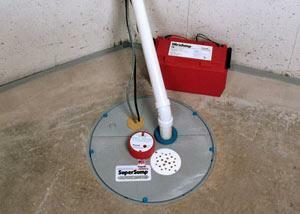 For a free sump pump system quote, call or e-mail us today! At DriWall Waterproofing & Crawl Spaces, we offer different sump pump systems: SuperSump® and SmartSump™.